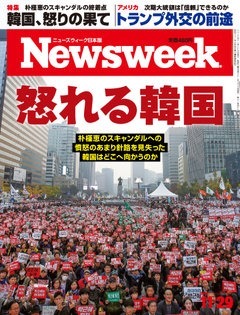 This is the English-language version of an article I just published with Newsweek Japan on Trump’s victory. I know there have been a million of these sorts of diagnostic analyses since he won, so this will be my only one. I will get back to East Asia politics next week. I guess what worries me the most is how Trump toyed with proto-fascist themes, even if he himself doesn’t believe any of it. As I write in the main essay below: “He flirted heavily with race nationalism, illiberalism (attacking the media; winking to the alt-right), anti-democracy (refusal to recognize defeat; insisting the election system is ‘rigged’), and a cult of personality. That is awfully close to a fascist package.” Trump has now demonstrated that there is a constituency for hard-right strong man politics in the US. He ran as an openly misogynistic, racist, cultish candidate, and millions of Americans just didn’t care and voted for him anyway. This is the most important, and terrifying, revelation of the last 18 months. No, I am not in hysterics that America is about to collapse. We’ve survived a lot worse in 230 years. I am pretty sure we can survive the Trump administration. He and his family will be epically corrupt, but that won’t bring down the Constitution. There is far too much hyperventilating on the left right now. But if Trump, or more likely Steven Bannon, can put his stamp on the GOP, the American political landscape will change forever. The Reaganite GOP is disappearing, and in its place will rise a National Front-like nationalist-populist party if Bannon has his way. The US has never seen a blood-and-soil European rightist party. We may look back on Trump as a right-wing turning point even greater than the Goldwater or Reagan presidential campaigns. 1. The dramatic outcome does not actually well reflect public opinion. Trump won because of the unique American quirk of the Electoral College. He lost the popular vote by 1-2%, and the Republicans lost the popular vote in Senate too by an even larger margin. 49% of eligible Americans did not vote. Trump won only half of the rest, around 25% of all voters. The GOP has legally won power, but if it pushes the radical Ryan agenda, that will not reflect the preferences of many Americans. Given that the same thing happened in 2000, it is probably time to abolish the Electoral College for a straight-up national vote. Were this election a national referendum, as in most democracies, we would be talking today about how poorly Clinton mobilized the Obama coalition, not the possible mainstreaming of Trumpian alt-right politics. 2. There is a potential for proto-fascist politics in the United States. Trump is not Hitler, but he is closer to Mussolini than many want to admit. He flirted heavily with race nationalism, illiberalism, anti-democracy, and a cult of personality. That is awfully close to a fascist package. Trump traded on white racial paranoia as no major US political figure has ever done. He helped legitimize the alt-right by bringing Steve Bannon onto his campaign, appearing on Alex Jones’ TV show, re-tweeting white rightists, and so on. He promised to imprison his opponent, crack down on journalists, sue his critics, bring back torture, and so on. Next, he questioned democratic procedure by reserving the right to reject the election outcome, insisting the process was ‘rigged,’ flirting with extra-parliamentary interference (Putin, Assange, rogue FBI agents), and even suggesting at one point that the election be cancelled and the presidency simply given to him. Finally, his campaign took on cultish characteristics, with Trump accurately asserting that he could shoot someone on Fifth Avenue and not lose votes. No matter what he said, his voters stood by him; he referred to his campaign as a ‘movement’ (another semi-fascist reference); Ann Coulter’s hagiography was entitled In Trump We Trust. 3. Racial ‘political correctness’ has broken out of universities to become a national issue. Trump got tremendous mileage out of the cultural contempt between social liberals clustered in America’s cities and campuses, and rural nationalists who are clearly unnerved by the left-wing identity politics of race. One obvious way to read Trump’s victory is the mobilization of white identity politics on the right after 40 years of such ethnic politicking on the left in the US, especially at universities. Multiculturalism has long been ‘asymmetric’ in the United States, limited to non-whites, with ‘white pride’ understood as racism. Trump has now breached that wall. Balkan-style ethnic-bloc competition is emerging in the United States. 4. Trade continues to be woefully misunderstood. Trump capitalized on the decline of manufacturing employment in the US and the perception that trade deals hurt American workers. American politicians continue to find it easier to argue for a bean-counting, zero-sum approach to trade, in which factory jobs in developing countries are a gain at America’s expense. These jobs can be ‘brought back’ through mercantilism. This, and Trump’s entire trade message, is grossly inaccurate of course. Trade is almost always positive sum; most US manufacturing jobs were eliminated by technology in the same way bank tellers were eliminated by ATMs, or rotary phone makers were eliminated by cell phones. Jobs outsourced by trade cannot realistically be identified one-by-one (the research expense would be gargantuan) and brought back. Most have long since diffused into the global supply chain. Next, manufacturing is actually quite productive in the US. It floats between 10 and 20% of output. Its percentage of working class employment though has collapsed, because those plants are heavily automated now and require engineers and degreed employees. Non-college, high-paying working class jobs are not just not coming back, they are gone forever. 5. The white working class is easily conned. Trump misled, if not lied, to the many disgruntled downscale whites who voted for him. The Mexican wall will be enormously expensive, hugely controversial, and may not even work. The Muslim ban has already been dropped from his website. No amount of alt-right white nationalism can now prevent the slippage of whites into demographic sub-majority status around mid-century. Tariffs will not bring back jobs. They will only drive up prices for imports, a burden which will fall most heavily on the poor who benefit most from cheap prices brought on by competition from trade. If Trump’s white working class is the ‘Walmart demographic,’ Trumpism will double the prices of all those cheap Asian imports like blu-ray players, baby-clothes and so on. Middle class voters have the income to absorb these price hikes; Trump’s downscale voters do not. Trump will almost certainly not abandon his class. He will support the massive Ryan tax cut for the wealthy which will worsen the inequality that fires Trumpism, not reduce it. He will likely support welfare state reductions (Medicaid most obviously) which help downscale voters like his own. He will roll back the post-Great Recession financial regulation (Dodd-Frank, the Consumer Finance Protection Bureau, the rule requiring financial advisors to follow their clients’ best interest) which protects people like Trump voters from the predatory practices that cost so many of them their homes in the Great Recession. Indeed, Trump already made clear what he thought of working class Americans by stiffing them for years as contractors on his worksites or scamming them at Trump University. My big concern going forward is that the social cleavages Trump starkly revealed and widened, start to overlap into a Red and Blue America that neither understand nor empathize with each other: white, non-college, rural, nationalist, religious vs. diverse, college, urban, cosmopolitan, secular. That looks like Northern Ireland, where multiple cleavages broke the same way, exacerbating everything and raising the prospect of unrest. The future is bluer than Trump’s victory suggests, but in the near-term, we are frighteningly divided. This entry was posted in Conservatism, Domestic Politics, Newsweek, Republican Party, Trump, United States by Robert E Kelly. Bookmark the permalink.